During laparoscopic radical prostatectomy, precise intraoperative identification of the neu-rovascular bundle, the prostate apex, and location of cancer nodule may potentially enhance postoperative functional outcomes and surgical margin status. Transrectal ultra-sonography is currently one of the most precise imaging modalities for the prostate. 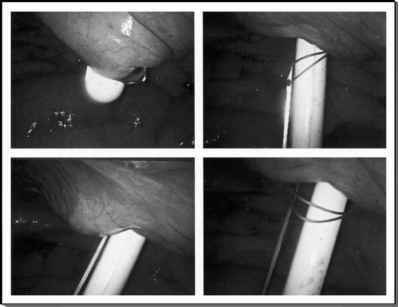 Ukimura and Gill investigated the technical feasibility and utility of intraoperative realtime transrectal ultrasonography guidance during laparoscopic radical prostatectomy (50-52). The potential advantages of real-time transrectal ultrasonography guided laparo-scopic radical prostatectomy were noted to be as follows: (i) visualization of the anatomical course of neurovascular bundle with special reference to its dimension and distance from the edge of the prostate, (ii) objective measurement of the physical adequacy of neurovascular bundle preservation during laparoscopic radical prostatectomy, in terms of preoperative and postoperative dimensions of the neurovascular bundle, number of visible vessels, and resistive index of the arterial flow within the neurovascular bundle, (iii) accurate identification of the prostate apex, (iv) provision for precise dissection of posterior bladder neck, vas deferens, and seminal vesicle, and safe release of the rectal wall, and (v) identification of the location of any hypoechoic nodule with or without suspicious extraprostatic extension in an attempt to decrease positive surgical margins (50-52).